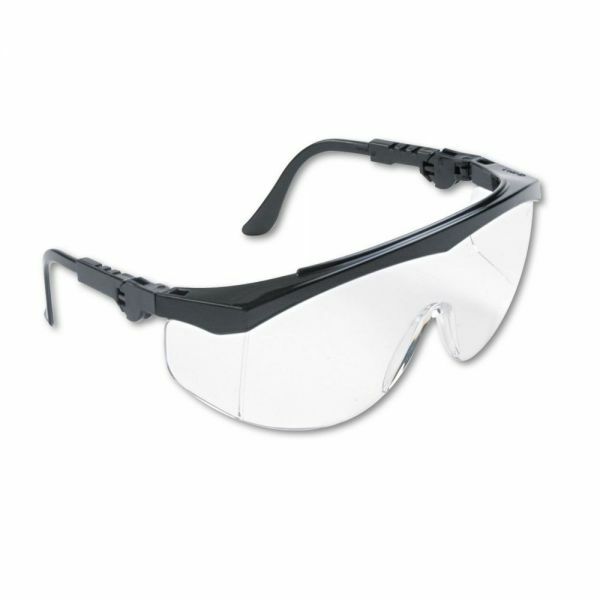 Lightweight safety glasses with a scratch-resistant, polycarbonate, wraparound lens. Fully adjustable temples with ratchet for custom fit and one-piece lens with integral side shields. Filters out 99.9% of UV rays. 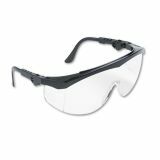 Safety glasses with five position ratchet action temples and one-piece polycarbonate lens. 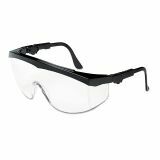 Crews Tomahawk Wraparound Safety Glasses, Black Nylon Frame, Clear Lens, 12/Box - The five position ratchet-action temples deliver a customized fit for maximum comfort, while the integral side shields and one-piece polycarbonate lens provide and added level of safety. Capable of filtering out 99.9% of UV radiation—ideal for individuals working outdoors. The Duramass® scratch-resistant coating ensures a clean field of vision, even in rough worksites.